The Big Cypress Golf & Country Club located within the 55+ community of Cypress Lakes features two extraordinary courses that offer great play for every golfing skill level: the 3,494-yard, 18-hole par 60 North Executive course designed by noted course architect Chip Powell and the impressive 6,650-yard, 18-hole South Championship course, designed by Ron Garl. The South Course has been recognized by Golf Digest, Florida Golfer and Senior Golfer magazines for its par-72 championship caliber layout. This is a great starting hole as it’s not as tight as it looks. The trick here is keeping the ball below the hole as the green tilts sharply from back to front. Keep tee shot to the right here as water on left sneaks up on you very quickly. Double check your yardage to the pin as this green is 45 yards deep and if the pin is back, you better hit enough club. This short par 5 begs the golfer to cut the corner. Don’t do it. See the sign? Keep tee shot right of large billboard in the distance. Short and right of green is the safe play. Pin high or long and right leaves you a very difficult chip. It’s all about the tee shot here. The green is very large so long off the tee is not important. Manage the stream that crosses fairway and a good score is sure to follow. Don’t let the “three amigos” bunkers guarding the front of the green scare you. Long here guarantees a high score. Cut off as much as you choose to make this par 5 play very short. The green is protected by Ron Garl’s long bunker design on the right. Another long bunker looms down the right side so use the large Oak to guide you toward the green from the left. Again, long is no good so check your distance. Water front and out of bounds right and left mean nothing if you play to center of green. This green is huge and offers a severe slope from back to front. Heading back to the clubhouse, this hole plays slightly uphill. No bunkers make anything missing green a fairly easy up and down opportunity. Old #1 should be played as a mild dog leg right. Don’t look at the green as it pulls your mind too close to the trees. Stay left off the tee to be safe. A good warm up preparing for the tough number 14. This hole plays like #14 without the stiff penalty of thick brush and trees. Don’t get too aggressive with the back left pin placement as the green slopes that way and shots to the middle will roll back to that tough pin placement. Patience, patience, patience. This is a true three shot hole and getting over the second lake is the key. Play second shot out to the right if necessary but only to avoid the penalty of going into the water. Six may win this hole today. The longest of the Big Cypress par 3’s is protected on the left by the large bunker. Golfers may use the mounds on right to keep ball close to green. Play without fear should be your mindset here. Our most difficult hole was originally a par five for the women and should be a par 4½ for the men. The trick is to play back on the tee shot and stay right. Anything closer than 150 yards out after the tee shot is risky. This Picturesque par three boasts a newly renovated bulkhead. Don’t let this attractive hole lead you into a false sense of security. The green slopes toward the water. Always play to center of the green. If you get aggressive and play to the back pin and go long left, you’ve lost. Long hitters love this hole. This is your last best opportunity for a birdie or better. Check the distance to the far trees as long hitters must keep tee shot right. Short and right of green is the best layup to make an easy up and down. Most long par fours offer a layup area short of the green. Sorry, that’s not an option here. 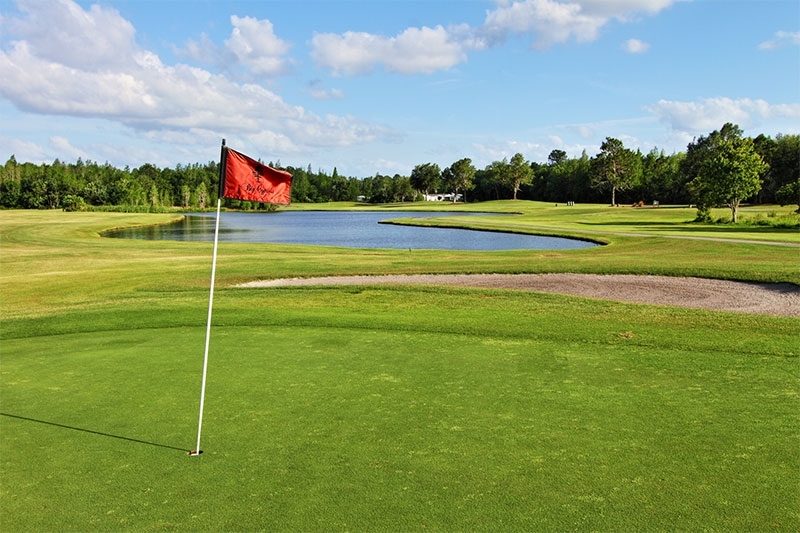 Play plenty of club into this green and if the water finds your ball, a short up and down could save your bogie. The Big Cypress signature hole offers a couple options. Big hitters can sneak up on the 100 yard marker by staying right off the tee but most golfers will play this as a short par five by laying up short and right of green. The fairway is quite wide up to 70 yards from the green then squeezes from there. The aggressive player takes a big risk if they try to get too close to the green on tee shot. Par three #2 is a full 170 yard par three and would fit nicely on any championship length course. Green opens up from the left with bunkers and swamp all along the right side. This 130 yard hole features a sloped green from back to front. Aggressive players will make it hard on themselves if they leave themselves a putt from above the hole. This beautiful par three emphasizes distance control with water and bunker penalizing short shots and thick brush catching anything long. Smile as you approach this short “dogleg” par three. Trust your swing and aim over trees to play this unique par three. Accuracy is the key here as this deep green is very narrow and plays from 118 to 138 yards. Big hitters can drive ball to pin high as the dogleg portion of this hole is with 20 yards of the green. The caddies used to say #8 is the tightest hole in all of Cypress Lakes. After a perfectly placed tee shot, hitting this smallish green assures a short putt. The winding creek down the right side can be intimidating. That’s why we offer a drop zone here. The first hole on the back nine features a raised green with steep slopes in the front and back. Bang away and keep your drive out to the right. Avoiding the left woods is your only challenge here. Big hitters try to drive the green on this short par four but they risk going long as the green tilts sharply away from the fairway. This raised green par three offers a nice backstop over the green. Shots left short simply roll back off the steep slope. This cute little par three only measures 120 yards from the back tee and is framed with bunkers left and right. Three tee boxes offer a variety of angles to play this long par three. This is another great par three that would fit on any championship length course. The last par four is guarded by water and bunker on the left with plenty of driving area. The “little monster” #17 only plays 90 yards yet is guarded on three side by water and swamp. The North’s “Home Hole” is another full shot par three measuring 170 yards from the Cypress Tees. 2019 USGA Rules and the Big Cypress Golf Club’s Local Rules shall govern all play. Out of Bounds is defined by white stakes and inside edge of all roadways. Penalty Areas are marked with red lines and stakes. Complete Local Rules are posted in the Clubhouse. Big Cypress Golf Club is pleased to have Scott Yates, a full-time golf professional, on staff . 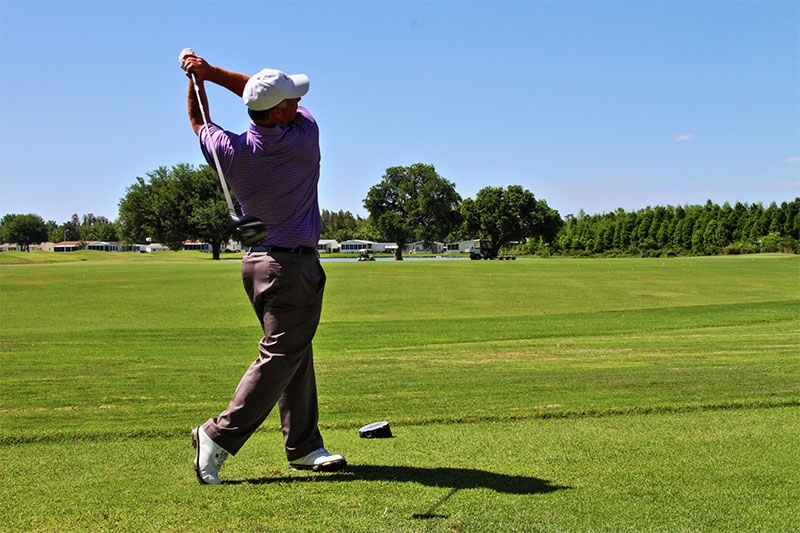 You won’t have to talk to Scott long before you recognize his passion for golf and his enthusiasm for helping golfers improve their game with swing tips, golf club adjustments, and other friendly advice. 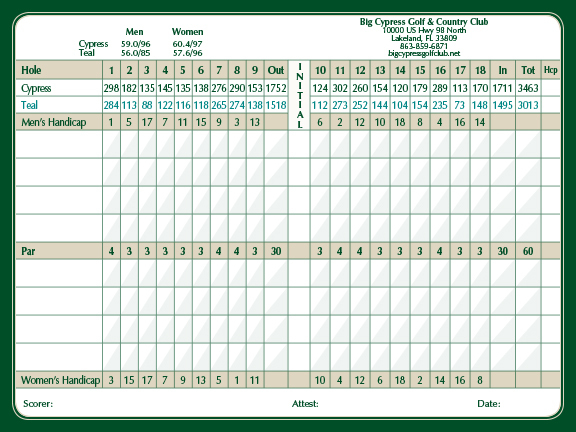 Big Cypress Golf Club offers a variety of events and outings throughout the year for golfers at every level. 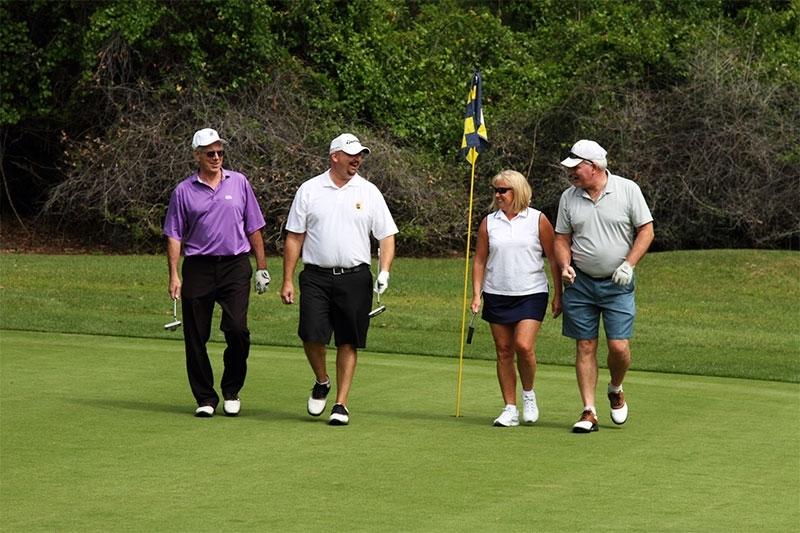 Our events help foster long lasting friendship while enjoying the game of golf. 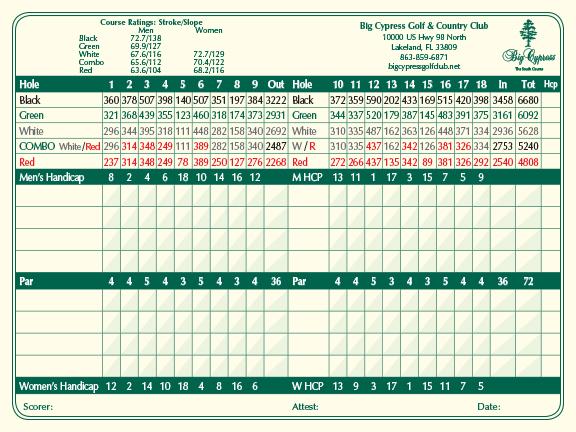 The Big Cypress Golf Club instruction program presents a variety of options delivered via our PGA-accredited staff. The instruction program offers a first class practice area with sand bunker and large putting green. We invite you to come on out and tour our decorated models and experience what makes Cypress Lakes your no fuss, low maintenance retirement destination. 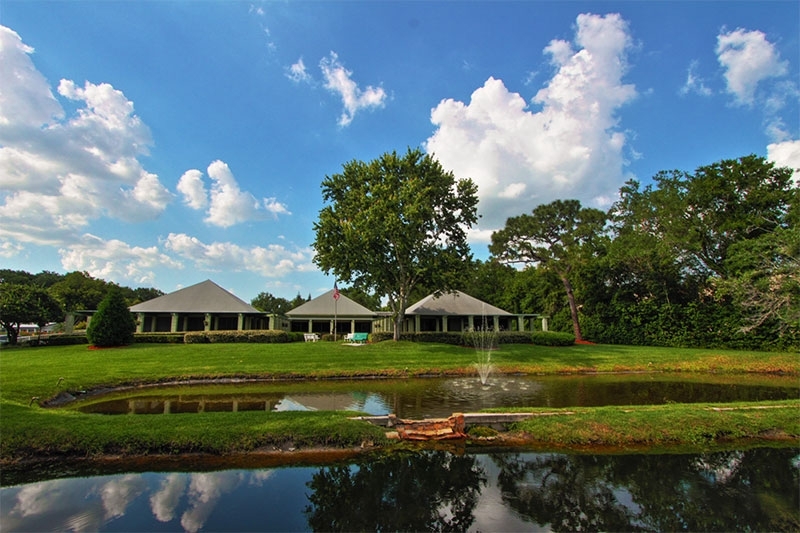 Find your dream retirement home in Florida today!